Le Fashion Truck: Weekly Fashion Review: Travel in Style! Weekly Fashion Review: Travel in Style! Spring has arrived and so has the beginning of the travel season. Whether you're going out of town or traveling across the pond, a great travel handbags is necessary. Le Fashion Truck's mobile boutique and online store is stocked with some great handbags fit for traveling! 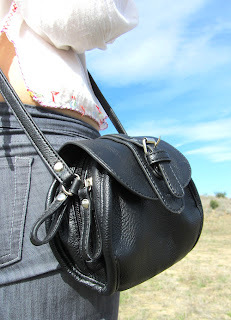 This black vegan leather mini purse is great for the girl-on-the-go! This small purse can hold tons of essentials in a compact space, it has two separate compartments with plenty of room to hold your goods. Going to do a lot of walking during your travels? 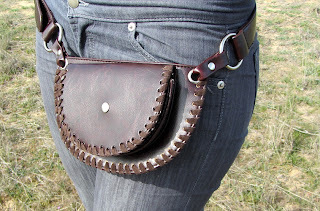 This stylist vegan leather fanny pack is perfect! It's enough room for passport, credit cards and money. Also available in light gray and black (black not available online at this time). Are you a clutch kind of girl? 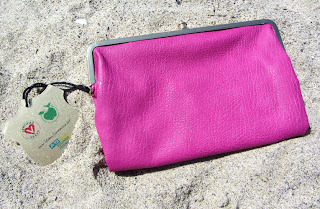 This certified vegan leather hot pink wallet clutch is great for transitioning from day travel into night. This clutch is practical and has different compartments for all your essentials! Also available in light brown and pewter. A fashionista can't leave her make-up behind. Throw your cosmetics in this stylish bag made from recycled materials. 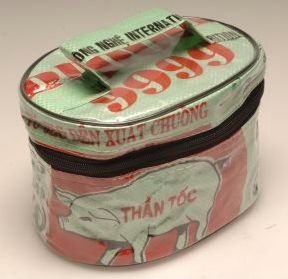 This Vietnamese rice bag turned cosmetics bag is a great size for travel and the plastic lining is easy to clean! Whether you're studying a new culture or having a girls' weekend in Vegas, grab a lightweight handbag and travel in style!